Developing WordPress sites is always easier and safer when you do it on a localhost. There are various tools that allow you to do this. Some are better than others. I’ve decided to switch my WordPress development sites to Local by Flywheel. I’ve used XAMPP and DesktopServer and both are great, but I find that I like Local by Flywheel even more. In case the video was not detailed enough, I have added some instruction below. The installation of Local by Flywheel could not be easier. After an easy install, the creation of a new development site is a breeze. Three steps is all it takes to create a new development site with WordPress already installed. 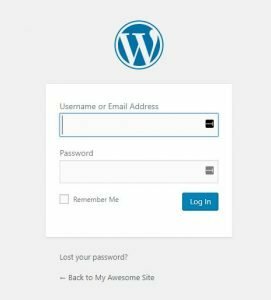 Click one button to setup WordPress. That’s it. Your WordPress Development site is installed!! Now go ahead and sign in like you normally would sign into to your WordPress Site. The User Interfaces (UI) that Flywheel has provided is fantastic. It’s so nice that I can hardly believe it’s FREE. The beauty is in how simple it is, despite being incredibly powerful and complex under the hood. My favourite part of Local by Flywheel has got to be the Live Link feature. Live Link creates a ngrok url for you with just one click. What the heck is a ngrok URL you may ask. This is a free service that lets you safely share your localhost live on the internet with a specially created URL. You can send the URL to a client or a friend and they will be able to see your local site live on the internet. Did I hear you say WOW! I know I said it when I first used it. Have you used Local by Flywheel? Tell me what you think by leaving a comment below! I agree that Local has some great qualities but for some reason it will not install on my MacBook Pro. It just keeps hanging up. Did you have any issues installing. I didn’t have any issues installing. Have you tried uninstalling, restarting your computer and then re-installing?